Years ago when my boy was at primary school they were doing a module on castles. They had to build a castle, so we worked on this project together. The wobbly lines of masonry I blame on my ten year old son. 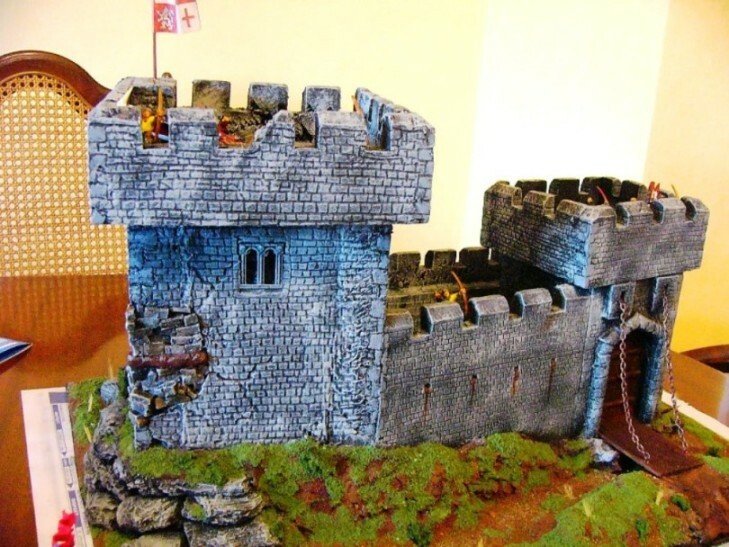 Pictures of this castle have previously appeared on the Round Table of Bretonnia forum. 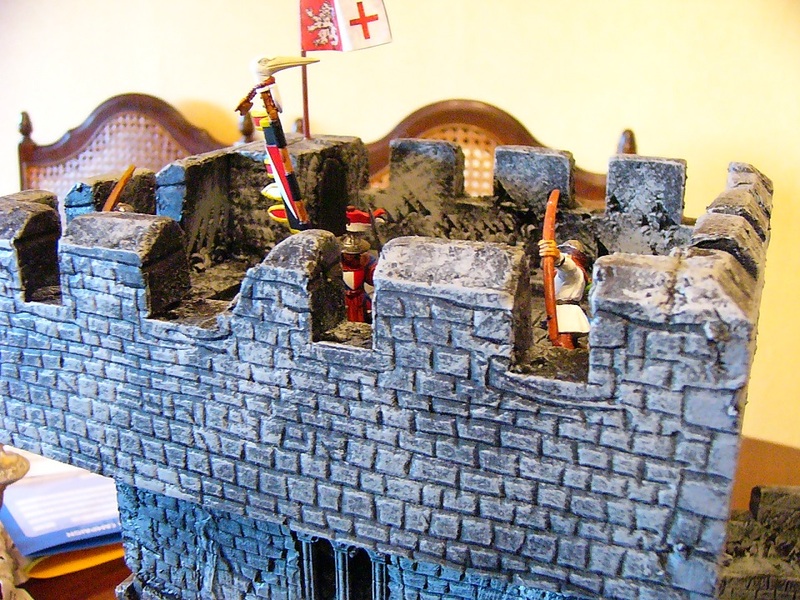 We used the castle in the Bretonnian army book for inspiration and as a template – including the damaged wall, that should have seen the keep collapse. No apologies for stealing their ideas. 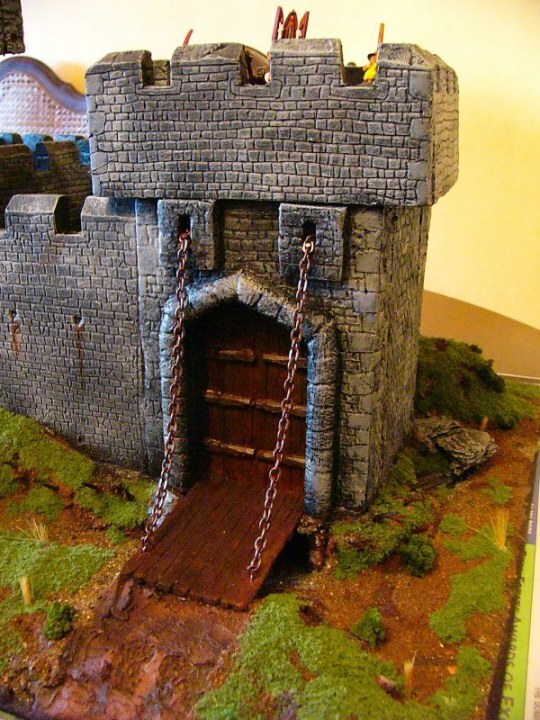 The castle was made from high density insulation foam, card, pollyfilla and bark. It is mounted on a piece of mdf board. 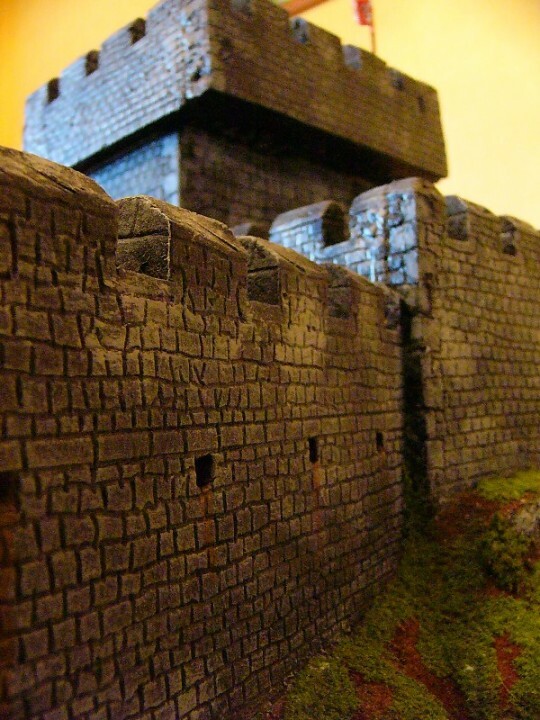 This picture shows pretty much the entire front of the castle, including a dry moat and drawbridge. 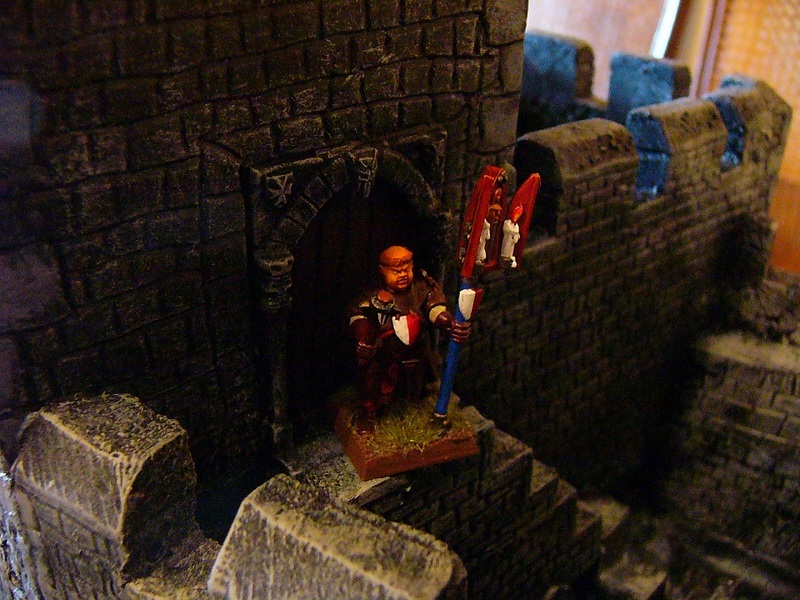 A close-up of a knight at the Gate Tower. 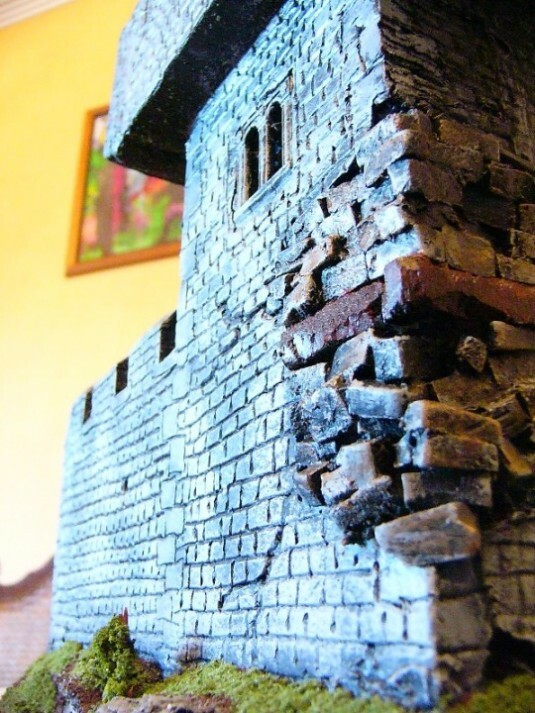 A close-up of the damaged keep. A shot along the rear wall. An overhead shot of the interior of the castle. 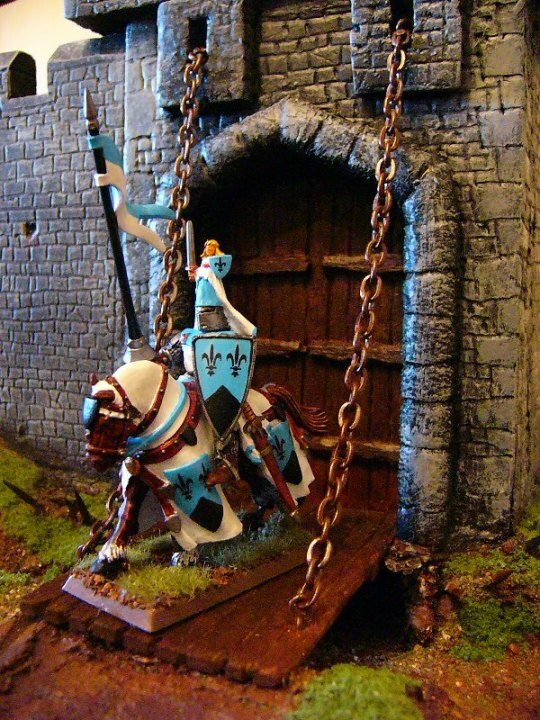 Here we have a Bretonnian friar at the main entrance to the Keep. 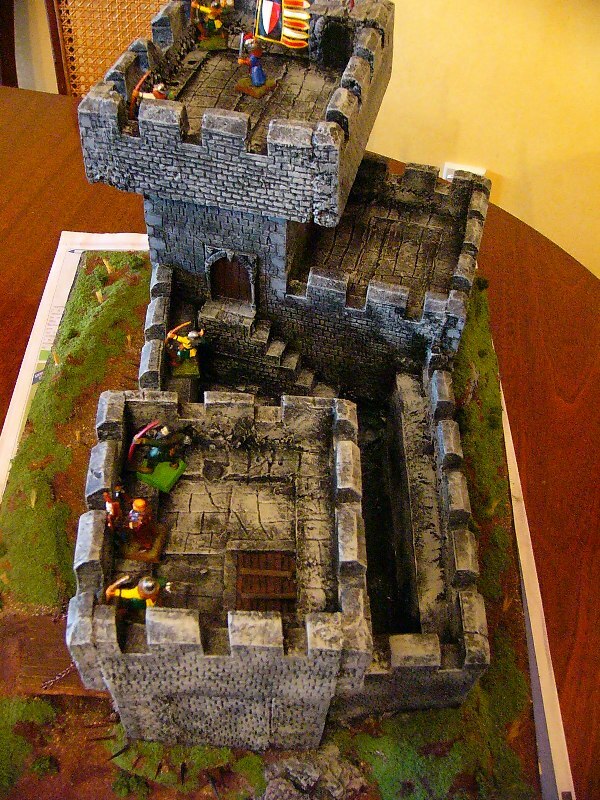 Here are some archers defending the keep. 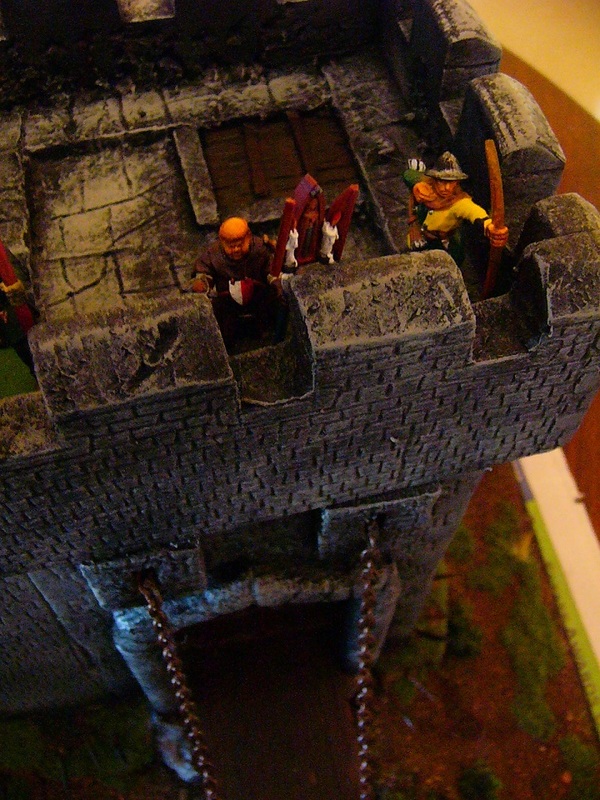 Overhead shot of the Gate Tower. 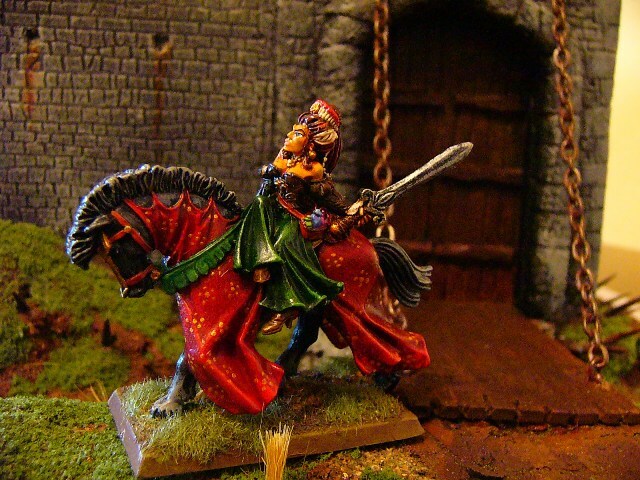 The Lady of the Castle rides forth. That’s really cool, Brian. I like the way it’s not square, but instead you’ve gone for different angles in the ground-plan. Too often we wargamers go with everything nice and parallel, when real life (especially in the olden days) often isn’t like that! Thanks Roly. The Bretonnian Henge my daughter and I made is in pieces at the moment because a possum got in an knocked it off the shelf it was on. Bloody things.